Bangkok has a reputation as one of the hot-spots for top of the range golfing in South East Asia. It attracts keen golfers on an international scale with its array of challenging scenic courses, excellent, friendly service and outstanding clubhouse amenities. 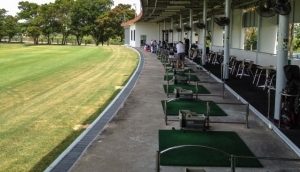 With the beautiful, exotic scenery as a backdrop, and the perfect weather conditions meaning it is an all year round sport, the courses in Bangkok are a true golfer's paradise.